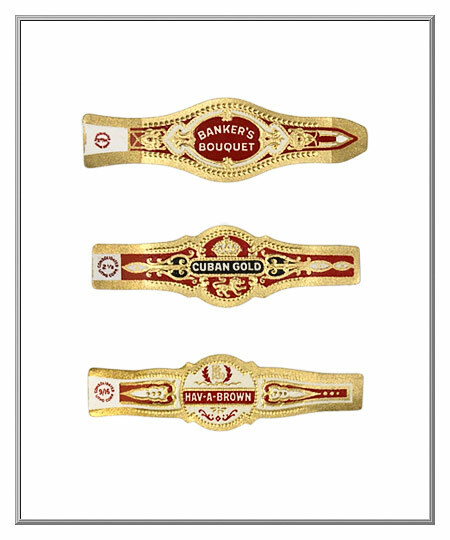 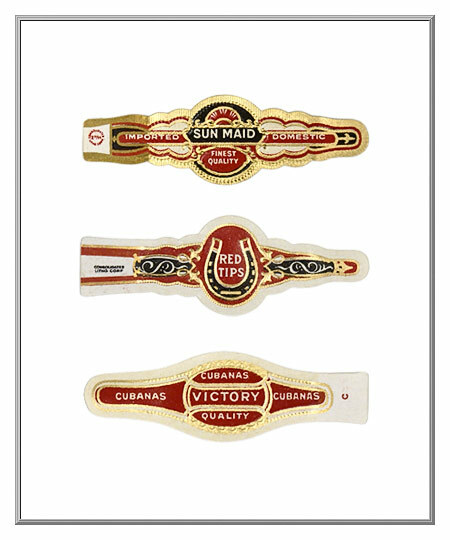 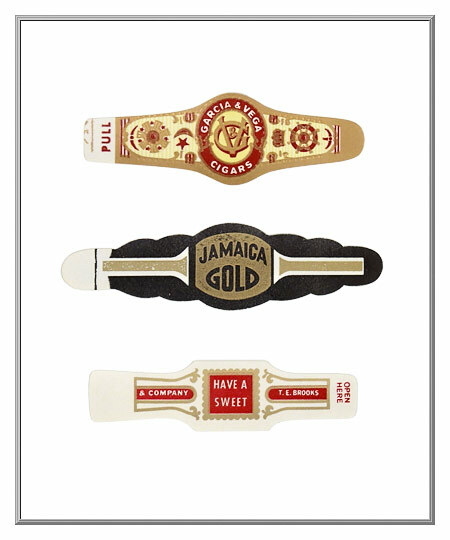 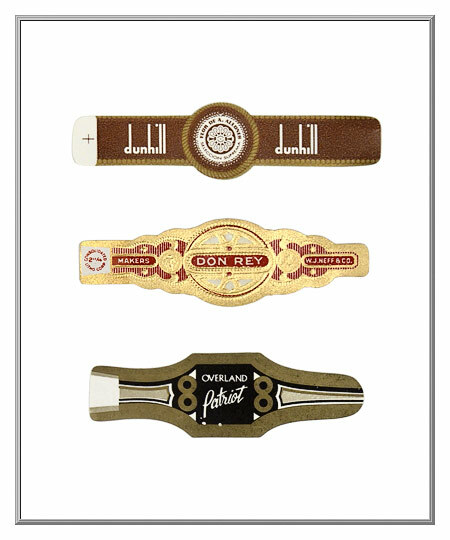 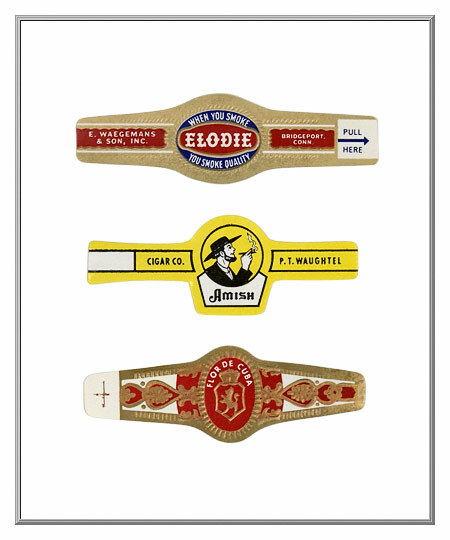 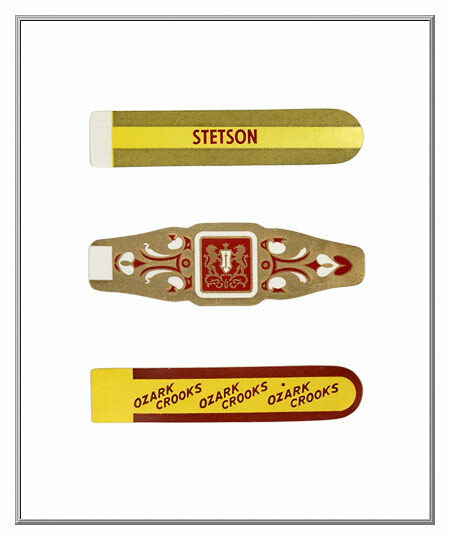 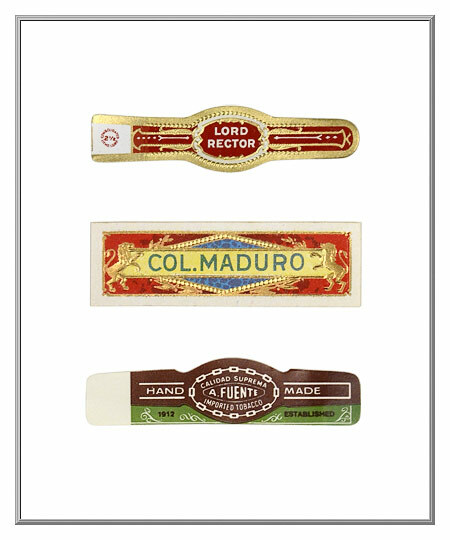 These nifty cigar bands are genuine old stock that are still in original, like-new condition. 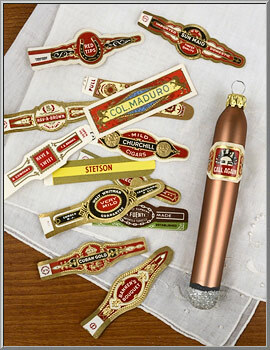 Produced in America, these die-cuts date from the 1920's to mid-century. 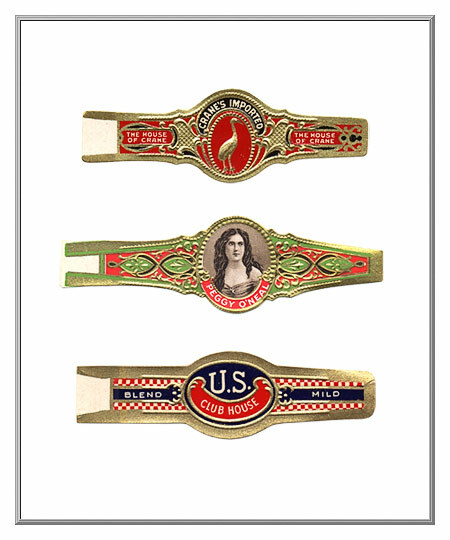 Unique paper ephemera from the past, cigar bands have been used to decorate ashtrays, vases and plates since Victorian times; these decoupage creations are now a popular category of collectible tobacciana. 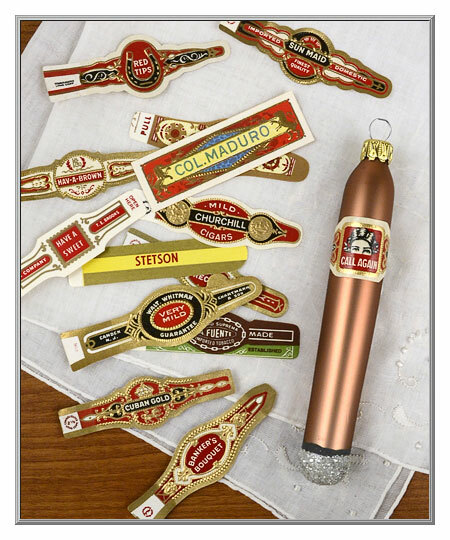 Sold in sets of 10 cigar bands. 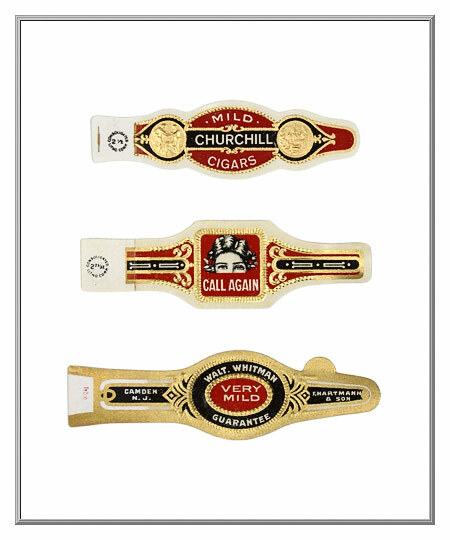 in width from 2½" to 3" wide.